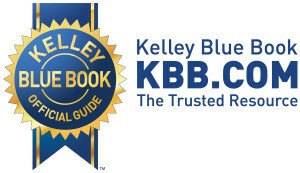 Kelley Blue Book recently projected that 2014 new-vehicle sales by major manufacturers would have ended up 5.8 percent from 2013, for a total of 16.47 million cars and trucks sold last year. Major manufacturers were expected to do 16.9 million units, up 2.6 percent, in 2015. That’d be the largest volume in 10 years. Fiat Chrysler saw demand particularly for Dodge Rams and Jeeps, and was expected to have double-digit growth in December. For the year, it was expected to sell more than 2 million vehicles, up 16.2 percent. Kelley also noted that Toyota had a “quietly solid year,” but noted that the Corolla and Camry were both in the top 3 of model sales, up 11 percent and 5 percent, respectively. Compact SUV/crossovers were expected to be up 15.3 percent overall, and full-size trucks were supposed to reach 6.7 percent growth. Kelley on Tuesday released new-vehicle price data from December 2014, which was projected to have the highest average price ever: $34,367.